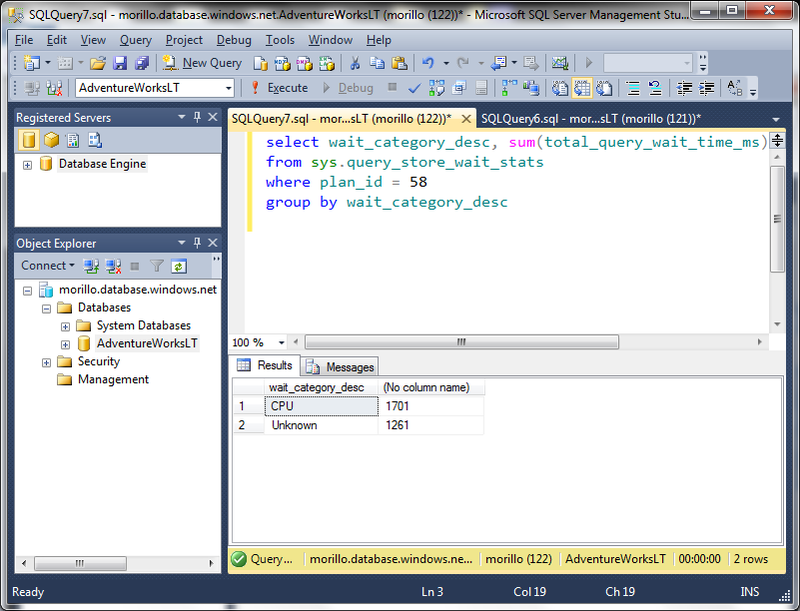 Identifying individual query waits on SQL Azure Database. On this article we are showing three ways to capture waits at the query level on a SQL Azure Database. 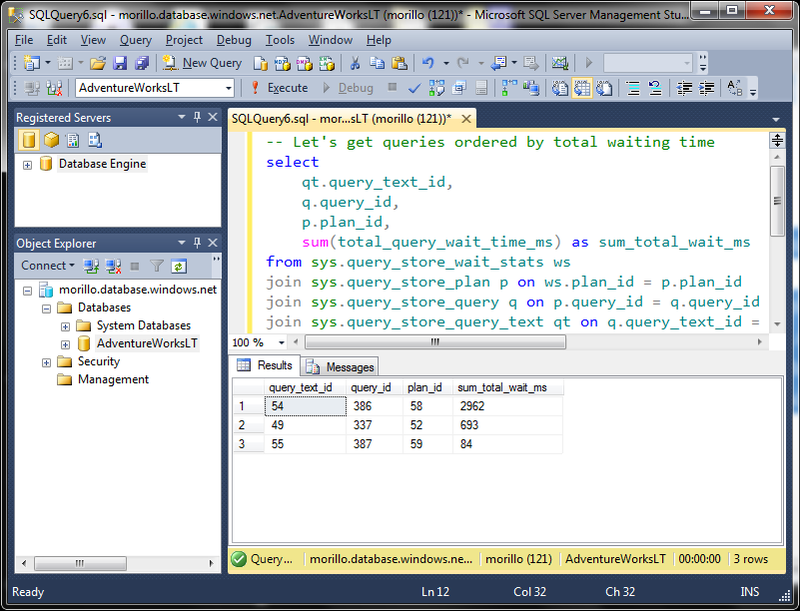 The first way to capture waits at query level was shared with me by Joe Sack (MSFT). The script relies on temporary tables to show the accumulated waits during query execution. The following image shows the result of above script. 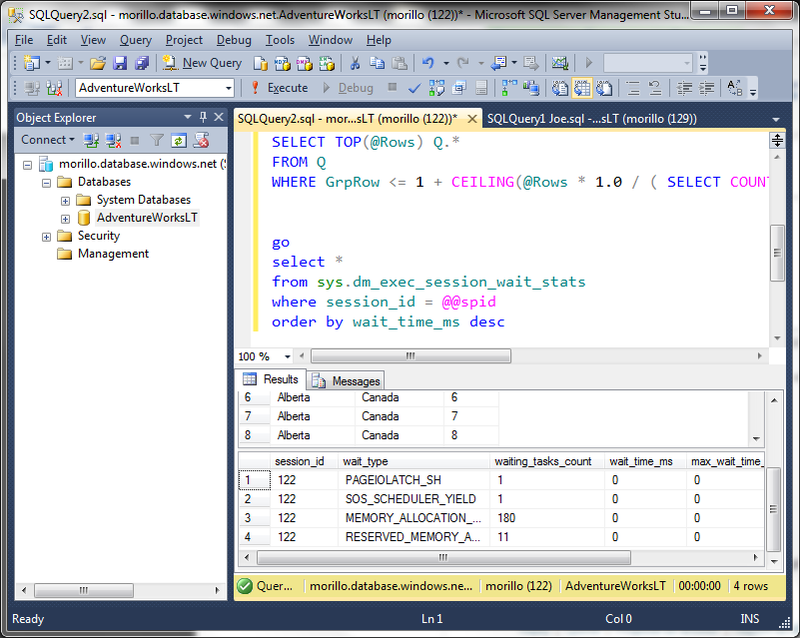 A second way to capture query waits in SQL Azure Database is using the sys.dm_exec_session_wait_stats dynamic management view. 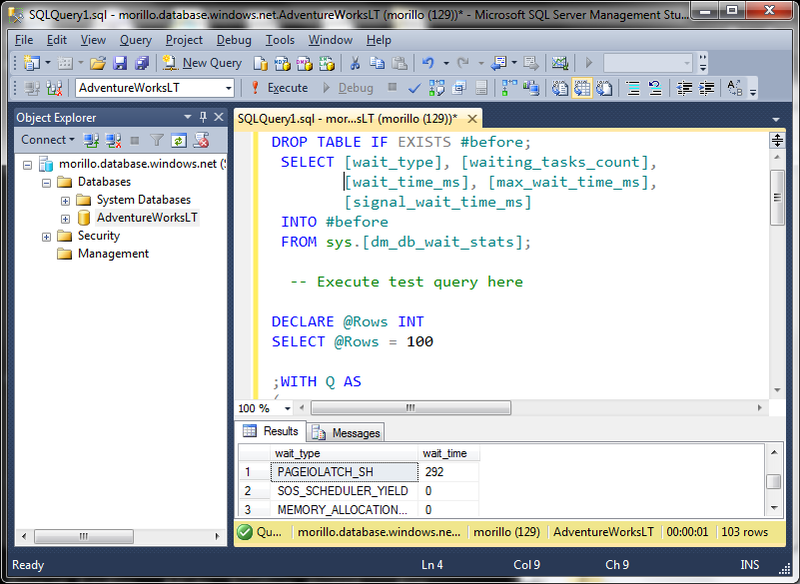 The following image shows how to use sys.dm_exec_session_wait_stats to capture query waits. We first identify those queries waiting the most. Let's use the plan id to sho the waits related to that plan. For this example, we are using plan id 58. That query plan was waiting for CPU resources. 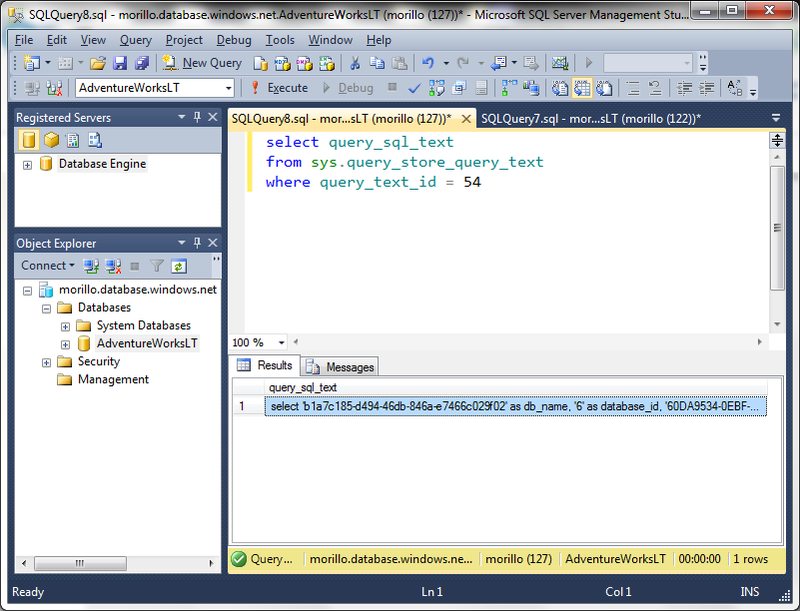 Let's now identify which query is related to that plan.